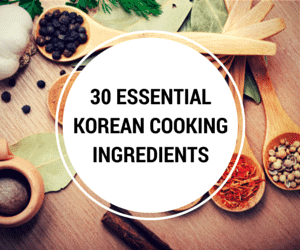 Let’s learn what is Korean pickled radish and how it can be used in Korean cooking. 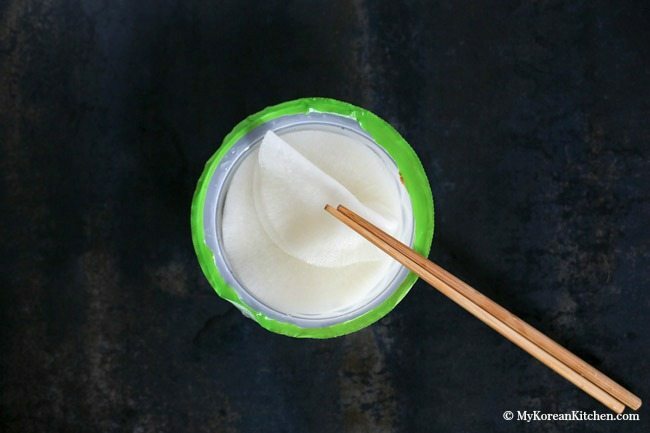 Korean pickled radish (Ssam-Mu, 쌈무) is a pickled white Korean radish (a variety of daikon radish) in sweet tangy water. It is called “Ssam-Mu” because it’s mainly used to wrap food. (Ssam means wraps, Mu means radish). 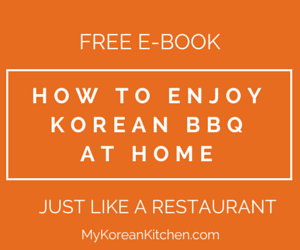 The most common food that is wrapped with this radish is Korean BBQ meat and it goes particularly well with Korean pork belly (Samgyeopsal). It’s crunchy, sweet and tangy. 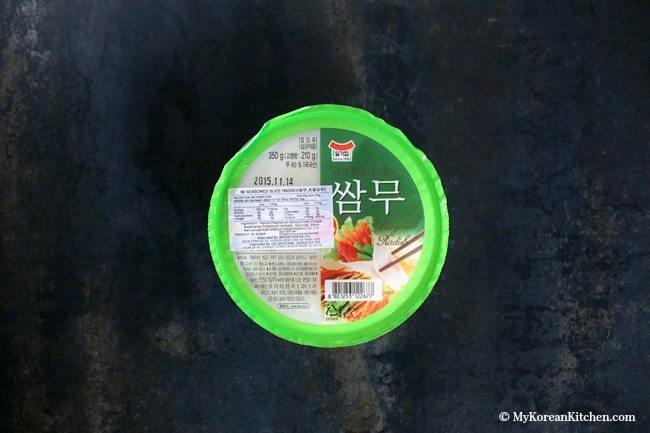 This pickled radish is very popular even to people who are not used to Korean food. – You will be surprised! You can also make fancy looking appetisers called “pickled radish wraps” using these pickled radishes. 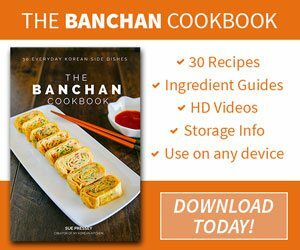 how do yMeou make raddish paper?